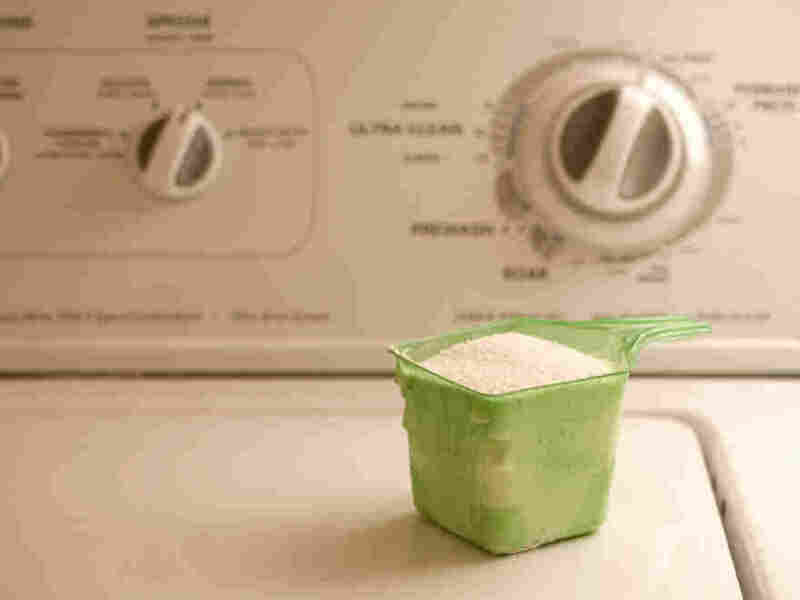 The Internet Is My Live-In Butler : Blog Of The Nation How much detergent to put in the washer, and other problems solved by the internet. Don't put in too much! One constant source of anxiety and frantic web searching: my new appliances (Some, not so new.). I know that people sing the praises of front loading washers, but me? I am not singing. However, thanks to my new domestic partner, THE INTERNET, I'm beginning to show it who's boss. Many web searches later, I've found that there are certain things you must do with a front loader: keep it open, clean the gasket, and maybe most important, use less detergent. That last advice? Goes for practically everything in your house... according to the New York Times. The No. 1 sin, according to repair people and appliance experts, seems to be adding too much soap to washing machines or dishwashers. Ah, internet. Thanks, again! Want to have a romantic dinner in my empty dining room?